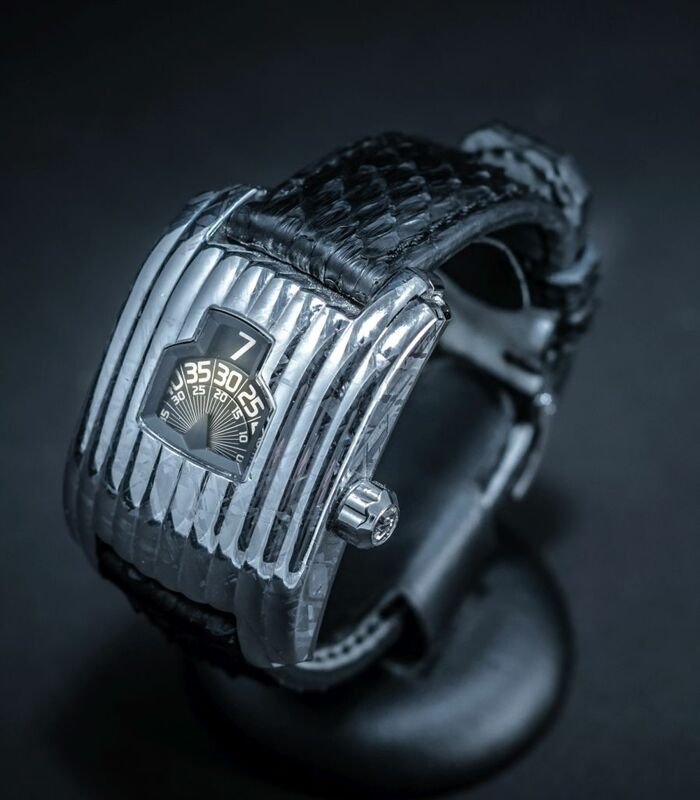 Watchmaker David Rutten's brand is based entirely on cases composed of iron meteorite. The extreme rarity of the octahedrite, as it is called, is not only due to its random collection method (there are about 300 tons of iron meteorite on Earth, versus 171,000 tons of gold). 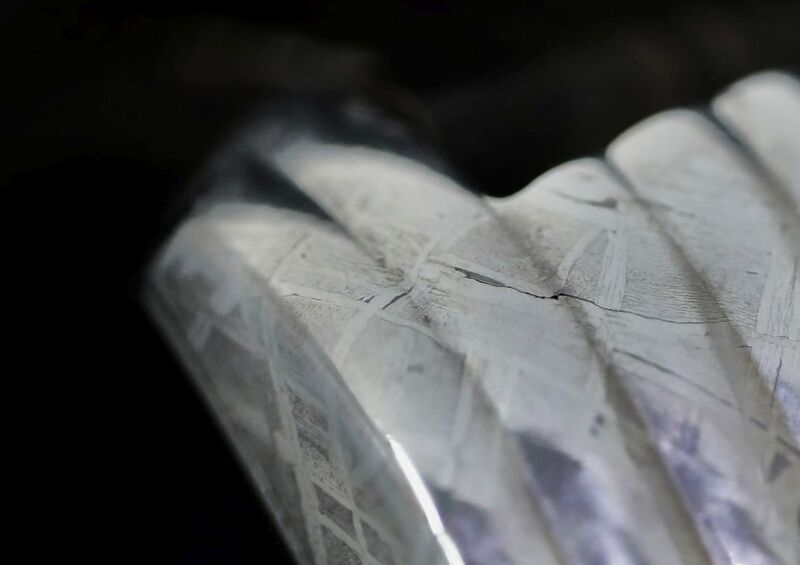 It also presents a unique aspect, an alloy of iron and nickel. The meteorite used for their first model is the Muo Nio Nalusta, a meteorite fallen about a million years ago in Scandinavia and discovered in 1906. 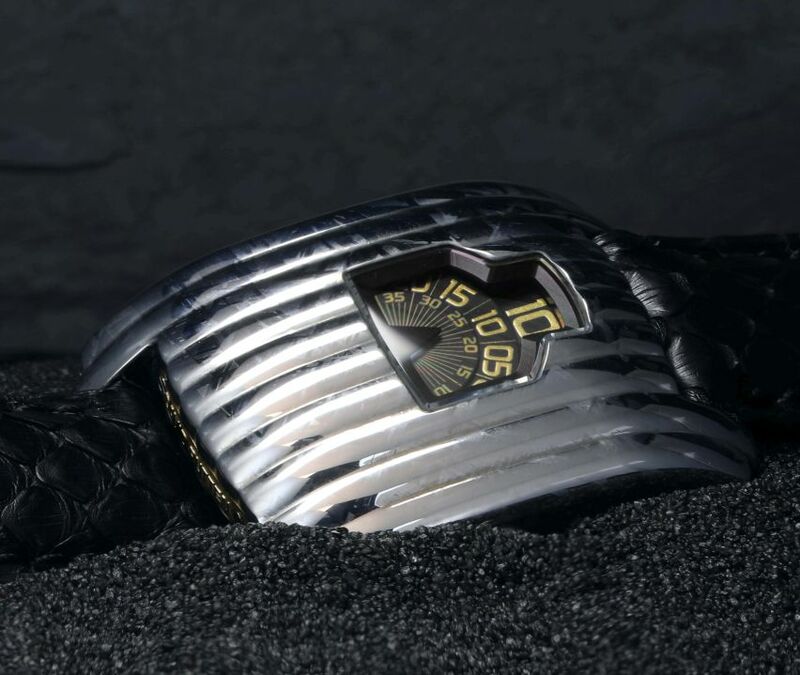 The case, measuring 37mm, is styled after Art-Deco "guichet". The dial aperture is large, in order to ensure optimum readability. The Swiss manual winding, movement beats at 28,800 vph and has a power reser of 120 hours. 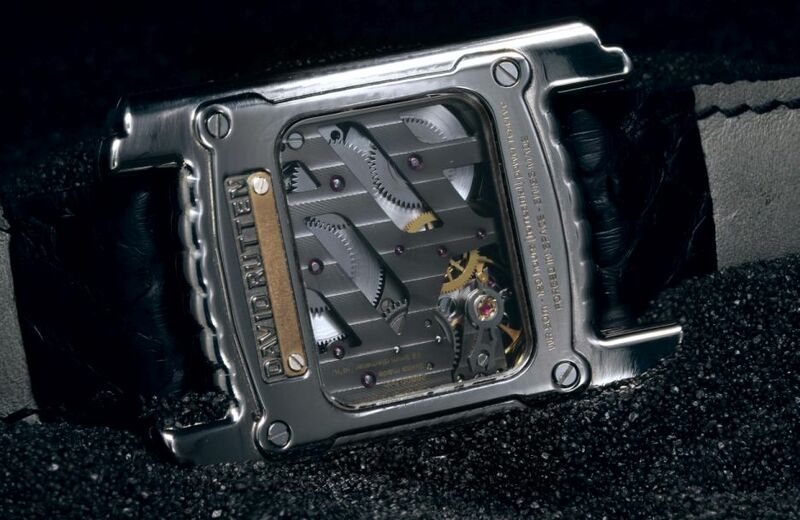 It features Côtes de Genève decoration, and ruthenium treatment. The dial features discs, a jumping outer hour disc and a dragging one for minutes and central seconds. The hour is read in line, from the top to the bottom: hours, minustes and seconds. The hour jump is immediate.